TULSA, Okla. — Columbus who? Hundreds took to the streets of downtown Tulsa Oct. 8 to participate in the city’s second annual Native American Day celebration. Along with dance demonstrations, department booths, food trucks, a live mural and Native vendors lining the Guthrie Green, this year’s celebration included a parade for the first time as about 40 groups took to the streets of the Tulsa Arts District. 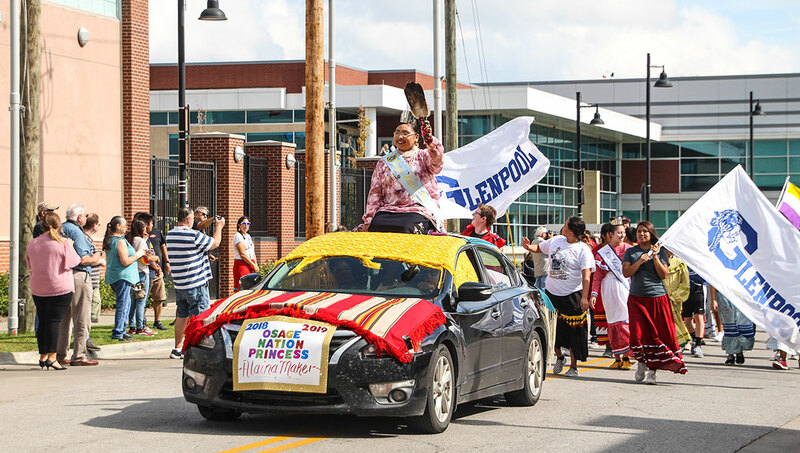 At the request of the Greater Tulsa Indian Affairs Commission, Tulsa made the switch in September 2017 from Columbus Day to Native American Day with unanimous support from its city council. Flanked on stage by the flags of all 39 Oklahoma tribes, leaders of the Osage, Cherokee, Muscogee (Creek), Kiowa and Kaw nations took a moment at the celebration to call for inter-tribal unity while reflecting on the past, present and future of Indian Country. Meanwhile, down the Turner Turnpike, an estimated 250 people turned out for Oklahoma City’s first Indigenous People’s Day celebration. The event was made possible thanks to a proclamation signed on Sept. 24 by Mayor David Holt, an Osage Nation citizen. As part of the celebration, Holt read the proclamation aloud in front of a sculpture at Oklahoma City University by noted Seminole and Muscogee artist Enoch Kelly Haney, drawing a chorus of cheers and lulus. OCU began observing Indigenous People’s Day in 2015. “Today is absolutely a wonderful day that OCU no longer stands alone. 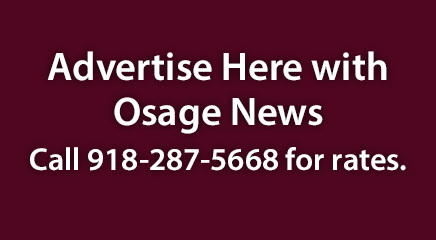 We have all of Oklahoma City standing with us,” OCU Native American Society President Kevin Chissoe said.